The Google Earth image shows most of Big East Lake. 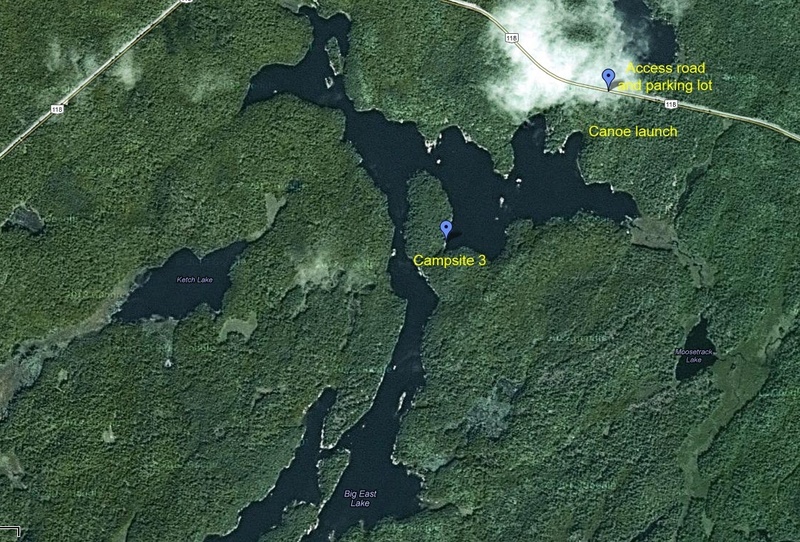 The distance between the canoe launch and campsite 3 is less than a kilometre. The portage from the parking lot is about 200 metres. Click on the google map icon to view a map location.